Mei (not real name) is 53-year-old lady who flew to Penang with her husband from Australia. They were desperately in need of help. According to her doctors, Mei would not live long — it is a month to month case and Mei would probably not survive to celebrate Christmas 2017 (5 more months!). Mei’s problem started in March 2016, when she had problem swallowing food or even water. Both her hands and legs itch. Her GP did a blood test and found her liver function enzymes were elevated. This could be due to obstructive jaundice. She was then referred to a specialist. CT and MRI showed tumour in the head of the pancreas. In early April 2016, Mei underwent a Whipples resection in which part of the pancreas, intestine, bile duct, gallbladder, omentum and 8 lymph nodes were removed. After the surgery, Mei received 6 cycles of chemotherapy. Chris: Did you ask if the chemo was going to cure you? There is no clear cut answer to this question. According to Mei, she was given the impression that everything would be okay after completing the chemo. Did you suffer from the chemo? Yes. Listen to our conversation. It was 5 months of hell. Unfortunately too, after the fifth chemo, Mei was told that the cancer had spread to her liver. There were “innumerable foci throughout all segments of the liver.” Mei was also told that there was a spot in her lung. Mei had to undergo more chemo. Mei received 4 more cycles of chemo. On two occasions she had to be hospitalized due to breathing difficulties. She decided to give up chemotherapy. The oncologist and Mei’s husband came to a compromise — Mei would go on a “drug holiday” for 2 months and then resume chemo again. When the 2 months were up, Mei told the oncologist she would not want to continue with her chemotherapy any more. The oncologist said he hoped Mei could make it to December. 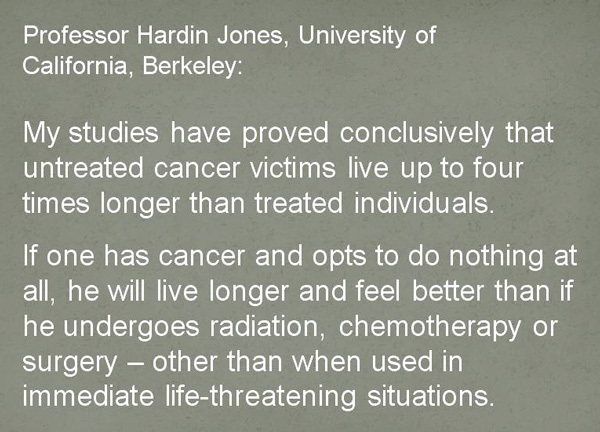 Many people have written about chemotherapy and its devastating effects on patients. Reflect on these quotations. For more go to Part 2. GG was 77 years old when she had problems with her pancreas in November 2007. MRI indicated that she probably had an intraductal papillary mucinous neoplasm. In her medical report the doctor wrote: This lesion has malignant potential and should be treated accordingly. GG underwent a distal pancreatectomy in December 2007 in Mt. Elisabeth, Singapore. After the surgery no further medical treatment was indicated. Nine years later, in 2016, GG started to cough, had fevers, nausea and vomiting. An ultrasound on 3 May 2016 in Kuala Lumpur showed a solid mass lesion in the region of the body to tail of the pancreas measuring 28 x 33 x 67 mm … suggestive of recurrence. There were multiple cysts in her liver and solid nodules of unknown nature in the neck of the gallbladder. Further examination showed metastasis to the lung and bone. Her CA 19.9 was at 234 and CEA was at 5.3. GG is now 85 years old. It was at this point that we received an e-mail from her daughter-in-law. Recently my mother-in-law did an ultra sound and x-ray as she was not feeling well. The results showed her pancreas having cysts and lung having numerous nodules. According to the doctors, cancer is almost positive unless biopsy is done to confirm. She had done surgery to remove part of her pancreas about 10 years ago due to the growth (non-cancerous). She appears to be healthy now with some minor coughing but complained of some phlegm. As she is of advance age i.e. 85, we wish to seek your advice on the best possible treatment for her. Family members are not agreeable to chemotherapy and radiation. I attached below the medical reports, blood test and results of ultra sound and x-ray for your reference. I am hoping to receive your feedback soon as we are from Kuala Terengganu and are prepared to take her to Penang to consult you if possible. Thank you. My mother-in-law started to take Capsule A-D, M Tea, Bon, Pancrea, Live P, Lun about two days ago. Each time after about 2 hours of consuming the herbs, she started vomiting the herbs. On the first night of taking the herbs, the phlegm and cough reduced significantly but vomited about 2 hours later. She doesn’t have good appetite now, always belching and feels weak. We seek your opinion whether to continue with the herbs or to reduce the types and amount. Hoping for your answer soon. Reply: I expect that. She will have to suffer for the next 1 to 2 weeks to get better. Continue taking the herbs. Thank you very much for the herbs prescribed to my mother-in-law. I noted that her condition now has improved tremendously … I would like to continue with the herbs. At present, she sometimes feel uncomfortable at her of stomach after taking pain killer. She has been taking pain killer because her outer thigh has been nagging her for more than 20 years. Actually, the pain is due to the disc fracture at the spine as informed by the doctors. I don’t know whether the pain is caused by her spine problem or other reasons. I would like to substitute the pain killers with your herbal remedy. The son of GG called to say that GG was better. She had more energy and now can sit up. Before she had to lie down. We are glad that at least when patients (or doctors) give up medical treatment for advanced cancer, there is still something that we can do to help — to make patients’ quality of life better. GG is already 85 years old. Do you think subjecting her to chemotherapy or radiation make sense? 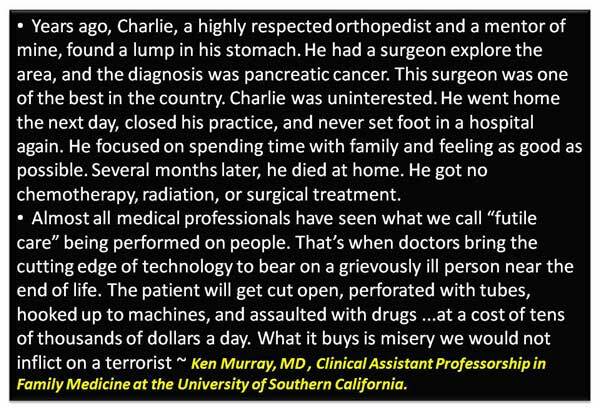 Reflect on this story written by Dr. Ken Murray. Not too long ago, a man came to our centre on behalf of his 71-year-old father who was in a critical condition in the hospital. His father was semi-unconscious, couldn’t even open his mouth to eat or drink and had to be tube-fed. Looking at his medical condition — lung cancer that spread to his brain — we suggested that it would be better to do nothing than to try heroic acts. A biopsy was done followed by radiation. The question is: What is the purpose — what do you expect to achieve? In 2011, we documented the story of Bak, Pancreatic Cancer: Severe Itch Disappeared and Health Improved After Herbs and the e-Therapy. Bak was told he had a tumour in his bile duct in 2011. CT scan in April indicated a pancreatic head and uncinate process carcinoma with common biliary duct obstruction. Bak was asked to undergo an operation. He refused. However he consented to do an ERCP – endoscopic retrograde cholangiopancreatography (a specialized technique to clear off the bile duct obstruction). After the ERCP, Bak was asked to undergo chemotherapy. He promptly refused. Immediately after being discharged from the hospital, Bak came to seek our help and was started on herbs. Bak had to return to Penang every 6 months to change the plastic stent (tube) that the doctor inserted. Surprisingly Bak recovered and was well after taking the herbs. His doctor who once “pushed” him to do chemotherapy had stopped asking Bak to consider chemo since his recovery was so good. Bak told the doctor that he was on our herbs. The doctor just smiled. 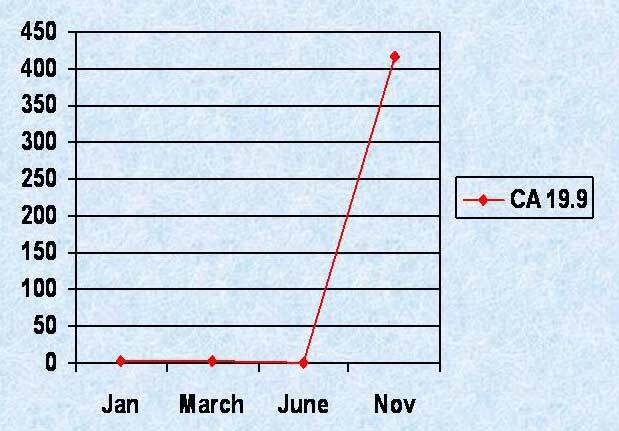 To our surprise, in January 2015 – i.e. almost 4 years later, Bak’s wife came to our centre. Our first question to her was, How is Bak doing now? Is he okay? Listen to what she told us. Chris: How is he (your husband) doing now? Good and healthy? C: So, he is healthy, really healthy? W: Yes. The stent has been removed and there was no need to replace it anymore. C: How many times did he change the stent? W: Every 6 months, change a new stent. So twice a year. C: And it has been 4 years now. Amazing. Thank God indeed for this blessing. Okay, when was his last visit to the doctor to remove the stent? W: August 2014. The doctor said no need to put in a new stent. If he is jaundiced, then we need to come back to the hospital immediately. C: All these years, didn’t the doctor ask him to do chemo? W: We told the doctor that he (my husband) was on herbs. I asked the doctor if this was okay. He replied, “I don’t know” and he just smiled. The doctor know that my husband was taking your herbs. C: Generally such cancer (pancreas) is very difficult. Indeed this is a miracle. Since the removal of the stent (ca. 5 months ago) did he encounter any problem? W: No problem. He is healthy. C: Very good indeed. Praise God for this. Pancreatic Cancer: Is There Another Option? … having illnesses such as advanced pancreatic cancer means there’s only a tiny chance of survival. But most people — patients and their relatives — have hugely unrealistic expectations about what modern medicine can do to help those with life-threatening illnesses. With pancreatic cancer, for example, which is often diagnosed late, the average length of time between diagnosis and death is usually less than six months. If I had the disease, I would not attempt any of the treatments for it, such as chemotherapy, because it can be gruelling and misery-making, and the success rate is extremely low. I would rather have painkilling palliative care, which can do great things in helping to make you feel comfortable while you are dying. Is There Another Option? Yes, there is but you need to understand your responsibility, your commitment and your reality. There are two stories for you to ponder on. Chai was 39 years old when he was diagnosed with carcinoma of the pancreatic head on 16 September 1999. 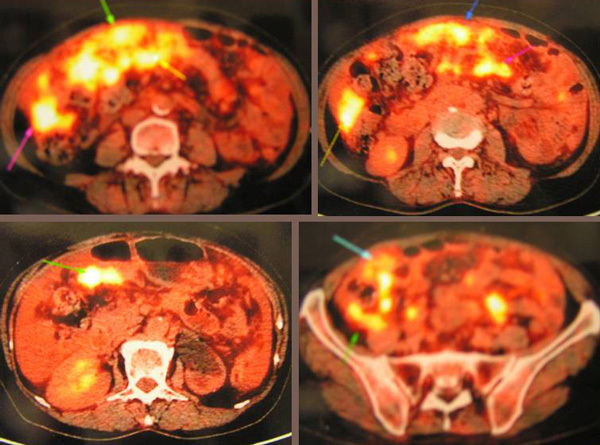 MRI done in Singapore on 21 September 1999 indicated an irregular mass in the head of the pancreas measuring 4.4 x 5.7 x 4 cm. The doctors gave Chai three months to live. Chai declined further medical intervention and opted for herbs. On 30 May 2003,Chai’s sister told us that Chai had died in April 2003, ten days before his forty-third birthday. He complained of pains in the chest a week prior to his death but he ignored the symptoms. His sister also told us that Chai put on weight since he started taking herbs. He was doing very well and went around telling his friends that he did not have cancer any more. Unfortunately, being a vibrant young man, Chai did not follow our dietary advice. He ate whatever he liked. On top of that, he also smoked and drank liquor. He paid for his misadventure dearly. For example, on 3 January 2001, his sister informed us that Chai had pains in the abdomen and was hospitalised. His face was swollen and he was severely jaundiced. A terminal case of pancreatic cancer with a prognosis of only three months to live survived for more than three years without any medical treatment but by just taking herbs. This is indeed an amazing healing. No medical intervention means no costly medical bills to settle, no suffering and an ability to lead a normal life. This is a great blessing indeed. We could not have asked for more. A physician who tries a remedy and cures his patients, is inclined to believe that the cure is due to his treatment. 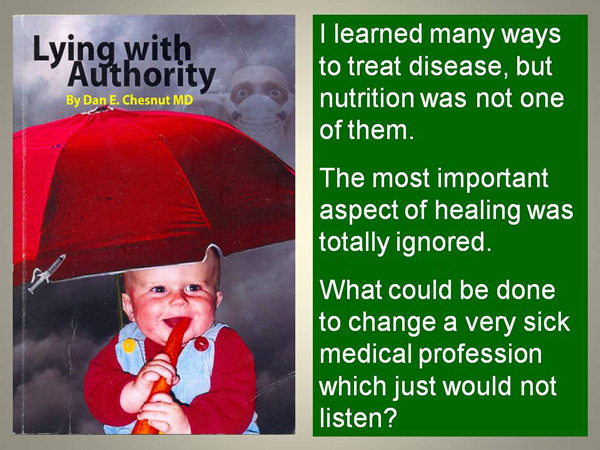 But the first thing to ask them is whether they have tried doing nothing, i.e., not treating other patients, for how can they otherwise know whether the remedy or nature cured them? This is a letter we received from Ms. Koreena Mabalot Locke (use of real name with permission), on 27 February 2003. I am writing to thank you for all the help your organization and herbs have given to me and my father. My father, Conrado Mabalot, who is from the Philippines, was diagnosed with pancreatic cancer in mid-2002. The tumour was very large, 18 x 13.4 x 2.4 cm and was pressing on all the other internal organs. The doctor in Baguio City, Philippines said it was inoperable and wouldn’t suggest further chemo as he is already old. (In our conversation: Koreena said that the doctor did an open and close operation. He fitted a by-pass tube which hangs out of the stomach. The doctor also told her mother that the patient has only 3 to 6 months to live and said: Whatever he wants to eat, just give him. Sounds like a desperate advice!). I came to know about CA CARE through two of your books that were lent to me by a pharmacist friend. At that time she advised me that your methods were rather radical if compared to the medical profession. Your use of the rodent tuber as part of your herbal remedy was not really accepted. My husband urged me to contact you after reading your books. As the prognosis given by the Philippines doctors was 3 to 6 months to live, my husband said that there could be no harm in trying something radical. So I sent you a fax, to the number that was printed in the books. I got a reply that directed me to Khadijah and Johan and I then turned to them for further help. We sent your herbs to the Philippines and then a month later we visited him at his home in Agoo, La Union, Philippines. (This was perhaps the last time that I would be able to see my father alive, so we made this special trip to the Philippines, since the doctor said he is to die very soon). I explained the method of brewing the tea and how to consume it. Of course, all these were explained to me by your very helpful group in Subang. We kept sending a monthly batch of herbs and capsules regularly. (After taking the herbs: Rotten-minced-meat-like tissues flowed out through the tube. It was very smelly. The colour was very dark brown. This rotten tissue kept flowing out of the tube for a few weeks). My father’s recovery has been, if I may use the word, MIRACULOUS. After two months on the herbs he began to eat and put on weight. He gained his strength in leaps and bounds. At the end of the fourth month, my mother and relatives told me that he was stronger than he was a year ago. In January 2003, my father had gone for his check up (ultra sound scanning). As my mother explained, the doctors themselves could not believe the result. There was absolutely no sign of the tumour or growth. I was jumping with joy. I must confess that before the ultra-sound scan, we were just happy that my father was feeling good, but to be told by the astonished doctors that they could not find anything wrong with him, well, that was simply astounding. All family members of anyone that is diagnosed with the big C cannot but feel helpless. Even with the conventional therapies given by the hospitals, total recovery is never assured. After reporting to you personally the diagnosis of my father’s latest check up, I realized that even you did not want to admit that the cure is 100%. … I wish to thank everyone at CA CARE at Subang – Khadijah, Johan and Patrick and most especially you, Dr. Teo, for the help and understanding that was shown to me and my family in my time of need. Name: Conrado Wania Mabalot Male, Age: 68 Address: La Union, Philippines. First week of June 2002: Experienced pain around abdomen, Pain killer was prescribed. Mid-June 2002, ultrasound revealed a mass around pancreas. Doctor said it started from the tail. Late June 2002: Specialist advised CT scan which confirmed growth in pancreas and advised surgery to remove it. Prior admittance to GH, test indicated enlargement of the heart. CT scan report dated June 26, 2002:CT scan of the upper abdomen … reveals a 18 x 13.4 x 2.4 cm mixed density irregularly enhancing mass with loculations in the left hemiabdomen involving the pancreas and stomach. Impression: pancreatic carcinoma infiltrating the stomach. Upper Abdominal CT scan dated July 2, 2002: Re-evaluation of outside upper abdominal CT scan taken June 26, 2002 shows the following significant findings: Large mixed isodense and hypodense mass lesion … the mass intimately related to the tail and distal body of the pancreas. Contiguous body of the pancreas is also enlarged.The mass is extragastric with the mass encroaching the greater curvature of the stomach and displacing it medially, the transverse colon is also compressed posteriorly. Nodule component of the mass impinges and extends into the lumen of the distal body of the stomach. The mass measures 12.4 x 13.4 cm in its widest diameter, its height is 18 cm. Findings are consistent with pancreatic body and tail neoplasm. 9 July 2002: During surgery, growth was found to be too advanced and clinging to the other organs. Doctors could not remove the growth. 16 July 2002: Discharged from hospital, not given any medication. Impression: Pancreatic CA Important treatment: laparotomy, gastrojejunostomy, placement of drain, biopsy.Final diagnosis: Pancreatic CA Remarks: May go home. 18th July 2002: Started to take spirulina at the same time came to CA Care, Subang Jaya. a. He slept so little , 2 to 3 hours and then got up. b. He could walk a few steps only because he felt tired. Then he would sit down and most of the time he was lying down. c. He couldn’t eat much; maybe 2 – 4 tablespoons of food then would stop because he felt something blocking every time he tried to eat. a. He started to eat more and then he gained weight. b. His skin colour changed, in fact, even better than two years ago. c. His can even work, repair aircons, fridge, etc. d. He can sleep in any position. After the ultrasound in January 2003, the doctors couldn’t find anything wrong with him and everybody couldn’t believe what had happened. Even the doctor who did the surgery couldn’t figure out what happened. Then, for the first time my mother told my father that he had pancreas cancer, Stage 4 and that the doctor told her that he got only 3 to 6 months to live! Now my father is home and is doing all the work that he used to do. He is still taking all the herbs, spirulina and an iron vitamin. Ultrasound report dated January 27, 2003: The liver is not enlarged with smooth borders. The intrahepatic bile ducts and vessels are undilated. The gallbladder is not enlarged. The spleen is normal. The pancreas is not enlarged. The head measures 1.6 cm, the body measures 1.05 cm, the tail measuring 1.65 cm. with smooth borders and homogenous parenchymal echopattern. Impression: normal liver, gallbladder, pancreas, kidneys and urinary bladder. It was 8 p.m., Friday 26 March 2004 when I got a call from Koreena. She told me that her father’s pancreatic cancer had recurred sometimes in December 2003. (Note: He started taking herbs in July 2002). This relapse did not surprise me at all, for we knew that he had stopped taking the herbs after he became well and after the doctor certified via an ultrasound finding that the cancer was gone! Bravo – he was cured and he went back to his old ways – old lifestyle and took in all the bad food all over again. The doctor told the family that his condition this time was worse than the previous time – it would be lucky if he could last till his next birthday; that was in May. This case is one of the best results we ever had with pancreatic cancer. But unfortunately it turned rotten rather fast. However, if we view this case positively, it was not bad at all. The patient survived one and a half years! The doctor gave him only 3 to 6 months to live when he was diagnosed with this late stage cancer. It is indeed frustrating. Human beings don’t learn. I have been telling all cancer patients this: Never ever think that your cancer is cured. It can come back. Do not be complacent. You must not go back to your old lifestyle and start taking those rubbish food again. This kind of message often always never gets into their heads. The moment a test or scan shows that the cancer is gone or is under control, they forget everything that I told them. I told Koreena this: God has given one chance and her father did not wake up to this call. He took this blessing for granted. I don’t know if there is going to be another chance. I have many more frustrating stories like this. In my work, I take comfort in this prayer (by Reinhold Niebuhr): O God, grant me the courage to change the things I can, change, the serenity to accept the things I cannot, and the wisdom to know the difference. Your will be done! I realize that it is impossible to change human beings. They need to change themselves. Let me reproduce our email exchanges with one grandson who is desperately in need of help. His emails are reproduced as it is, with no editing done. no problem about far we willl go to your hospital if there was a way about pancreatic cancer.no cure? so why http://cacare.com/indonesia/component/option,com_easyfaq/task,view/id,212/Itemid,108/ can be heal? sorry doctor im really need the medicine about pancreas cancer there was a away? you have phone number or messenger so we can talk? 9 July 2012: what do you mean no cure ? at your blog cacare.com the testimonial about pancreas cancer can be heal ? http://cacare.com/indonesia/component/option,com_easyfaq/task,view/id,212/Itemid,108/ that is ? LIE ? Reply: Read this story, Computer Genius, Steve Jobs Died of Pancreatic Cancer – cancer patients can learn from is experience. Click this link and learn for yourself: https://cancercaremalaysia.com/category/pancreatic-cancer/ Anyway, I don’t treat people via internet or just by writing emails. Come and see me if you think I can help you. yes i have learn its about herbal, about medicine you give so you can help my grandpa? Let me relate a case I encountered many years ago. Peter was a very rich, 59-year-old man from Hong Kong. On 28 June 1999, he was diagnosed with cancer at the head of his pancreas. Subsequently he underwent a pancreatico-duodenectomy. This procedure is also known as Whipple procedure. The surgeon would remove the distal half of the stomach, the gall bladder, cystic duct, the common bile duct, the head of the pancreas, duodenum, proximal jejunum, and regional lymph nodes. You would probably end up with a Mercedes Benz scar in your abdomen after the surgery. August 1999 to September 1999: Peter underwent concurrent chemotherapy with 5-FU and radiotherapy. 14 October 1999: The doctor said there was no solid evidence that the treatment would help. 19 October 1999 to 14 March 2000: Peter had finished a total of 13 cycles of chemotherapy. The drug used was Gemzar. He suffered neutropenia, i.e., low white blood count. The initial Gemzar dosage used was 1400 mg. This was then reduced to 1260 mg, 1000 mg and subsequently settled at 800 mg.
28 June 2000: His CA 19.9 started to rise from 4.67 to 41.3, indicating occult recurrence. 8 September 2000 to 12 February 2001: Chemotherapy using Gemzar was again started. A total of 13 cycles were given until 12 February 2001. The dosages used ranged from 1000 mg, 1400 mg to 1760 mg.
19 February 2001: The result was disappointing. His CA 19.9 shot up to 473. 26 February 2001: Peter underwent chemotherapy again. This time with Gemzar at 1780 mg plus Xeloda, an oral chemo-drug often used for breast and bone cancers. He was on Xeloda for 10 days. 26 March 2001: It was Gemzar plus Xeloda for 14 days. 25 May 2001: Peter had completed 20 cycles of chemotherapy with Gemzar. 28 June 2001: His CA 19.9 was at 586. Peter developed SVCO (superior vena cava obstruction). A CT scan showed the obstruction was due to the mediastinal nodes. 3 July 2001 to 15 August 2001: Peter underwent radiotherapy to take care of the SVCO. 9 October 2001: His CA 19.9 was at 558. Peter decided to take a break and came to find treatment in Malaysia. He again underwent chemotherapy in a private hospital in Kuala Lumpur. 4 March 2002: It was at this point that I met Peter in Kuala Lumpur. He was indeed a jovial man. During our conversation Peter joked that he had told his doctors that with the amount of chemo-drugs being pumped into him, he would die of the drugs rather than the cancer. Indeed, Peter could qualify for a listing in the Guinness Book of Record for having the capacity to endure more than 50 cycles of chemotherapy and numerous radiation treatments and still remained alive. 25 March 2002: Peter underwent chemotherapy again. This time the drugs used were CPT-11 plus oxaliplatin. He suffered intense abdominal pains, nausea and vomiting. 18 May 2002: The doctor confirmed that Peter had suffered metastasis to the bones. Peter underwent 10 times of radiation treatment to the spine and 10 times to the two lumps found on the left neck. 23 May 2002: Peter was admitted to the hospital because of fluid in his lungs. Tapping of lung fluid was done. 20 June 2002: Peter was hospitalized again due to fluid in the lungs. His wife said he was giving up. 1 July 2002: Peter died in a hospital in Kuala Lumpur. He was then still on chemotherapy. I was told that Peter’s brother, who is a medical doctor , flew in from London to be at his bedside when he died. Very often, the effort to “destroy the enemy” at all costs ends up counterproductive. Chemotherapy practitioners do not want to think that the weapons they employ to kill cancer cells are of little or no use to their patients. They want to believe they are helping people. When we take a closer look at what were used as weapons for this war, I cannot help coming to a conclusion that Peter was made a subject of experimentation. The initial drug used was 5-FU. Since it was not effective, Gemzar was used instead. The dosage of Gemzar used was initially high and was subsequently lowered. 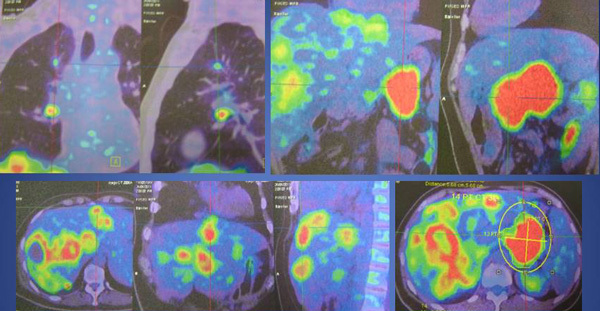 This showed that the oncologist was not really sure of what was best for Peter. Since Gemzar by itself did not do any good, the oncologist added Xeloda to the recipe. Even that, it did not work. Then back in Kuala Lumpur, Gemzar and Xeloda were abandoned – why not try something more powerful? So, Peter was given CPT-11 and oxaliplatin. There is a never ending struggle … Patients are sucked into the same way of thinking … Finding themselves more and more dependent on the system giving one treatment after another. 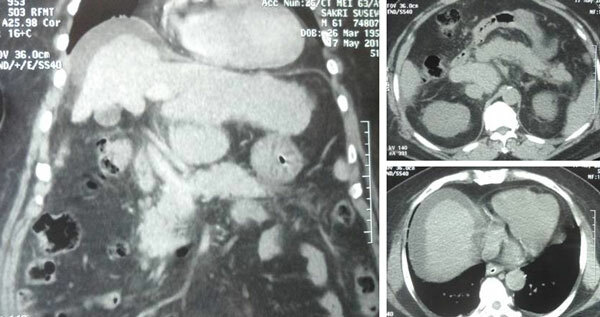 In the course of the treatment, Peter suffered SVCO (superior vena cava obstruction) and he had to have radiotherapy to alleviate this problem. The superior vena cava is the main vein which drains blood from the head, neck and arms into the heart. It lies in the upper part of the chest. Unfortunately, this vein was blocked in Peter’s case. Why was this so? When the war was about to be over, Peter had bone cancer and his lungs were filled with fluid. Could this represent the ultimate and fatal side-effects of the aggressive treatments he was subjected to earlier? After three years, the battlefield was quiet. Death prevailed. Peter found peace in death. It was a medical failure – perhaps from the very start failure was apparent, if we care to objectively evaluate it. I wanted an immediate remedy and stubbornly believed I knew what was best. After all, my medical training had been as a student at Columbia, an intern and resident at the Massachusetts General Hospital, and a fellow at UCLA (University of California at Los Angeles). Waiting patiently for nature to heal me seemed passive and paltry. I finally realised that my desperate belief in a perfect solution was a fantasy. 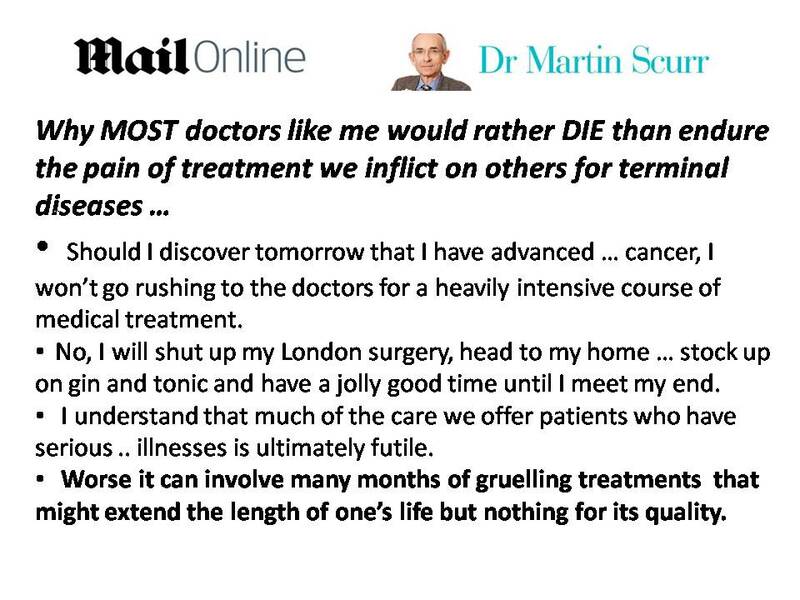 Let me conclude this article by quoting what Dr. Martin Scurr wrote in an article: Why MOST doctors like me would rather DIE than endure the pain of treatment we inflict on others for terminal diseases: Insider smashes medicine’s big taboo, in the Daily Mail, UK, 14 February 2012. Should I discover tomorrow that I have advanced, life-threatening cancer, I won’t go rushing to the doctors for a heavily invasive course of medical treatment. No, I will shut up my London surgery, head to my home in Norfolk, stock up on gin and tonic and have a jolly good time until I meet my end. 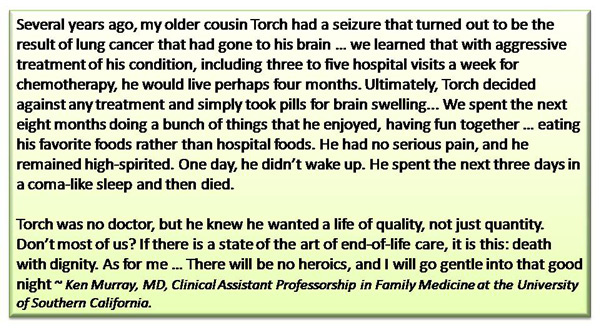 Like most doctors, I understand that much of the care we offer patients who have serious, life-threatening illnesses is ultimately futile. Worse, it can involve many months of gruelling treatments that might possibly extend the length of one’s life, but do nothing for its quality. Corinna is a 51-year-old Singaporean lady banker. On 5 May 2012 she was diagnosed with cancer of the pancreas. From the pancreatic tail the cancer has also spread to her liver and also the posterior aspect of her stomach. Her blood test results on 6 May 2012 are as below. The surgeon who did the biopsy told Corinna that medical treatment would not be able to cure her. Nevertheless she was asked to seek further opinion from an oncologist. Listen to what Corinna told us about her experience with her oncologist. Chris: You went to see the oncologist. What did he do? Corinna: He said, “Oh, you stay in Sea View. What are you working as? I am a forex trader (in a bank). Do you buy health insurance? Yes, I did. C: What has all these got to do …? Husband: That is the Singapore way of thinking. Sister: He talked nonsense. He called me and my (other) sister “ke-po” (busybody). Five of us went to see him. There were Corinna, husband and daughter. He said, “What about these two “ke-po.” He referred to me and my other sister as ke-pos. So angry! C: You know, when you come and see me, I would want you to bring along all your whole family members. This is because I want to explain to everybody. You (the patient) will not be able to understand me – as far as your head is concerned it is all blank! Someone else around you is the one who will be able to pick up what I say. You (patient) listen to me but nothing gets into your head. So bringing others along is not “ke-po”. H: He said to us, “If you go for chemo, you must eat a lot of meat. And we will be generous with the painkiller. C: Why did he ask you to take a lot of meat? S: Because to build up the strength. Cor: I was a bit shocked. Cor: Because he said there is no more cure of me. Second, they way he talked to me, more or less indicated that I am the one who is wasting his time. Cor: I am wasting his time. C: But he has already collected SGD700 from you anyway! You are wasting my time if you don’t pay me anything and I sit down the whole day talking to you! (Now, I know how much I have missed out every day! For whole day and whole night I talk for free!). So, all these took up 10 to15 minutes already and the results were that: He cannot cure you. Go eat a lot of meat, and I f you are in pain take a lot of painkiller. If you think that you want to do chemo – you can come back and the bank will pay for you. C: Were you happy after seeing him? Cor: No, I was totally lost. He said there is no cure for me. I know there is no cure but at least I may be able to extend my life a bit longer. C: When you went to see him you were full of hope? C: When you came out of his office, zero hope? Why in the first place did you go and see him? Cor: My staff said he was good and told me that she knows his wife very well. C: What difference does it make if she knows the wife very well? Si: If I can understand Corinna here. He is famous … bla, bla. So Corinna thought that it is better for her to go and see him first. She didn’t know what was going on. She was lost. At least she could find some hope. C: You were full of hope but you end up with nothing after meeting him. Do you want to go and see another oncologist? Cor: I am very confused. C: Fair enough. You have seen an oncologist. You now know what he can do for you. Let me ask you – what is in your mind now? What is it that you want? Cor: To be able to extend my life a bit longer. If you only have 10 to 15 minutes with your oncologist – and have to pay SGD 700 for that – you probably need to be more organized before meeting him – so as to get the most of his valuable time. Unfortunately, what you want from your oncologist differ greatly from what your oncologist wants from you! In that precious 15 minutes that you have with him, I can see a clash of interest and concern! As a desperate person, you go to your doctor to find “hope” and encouragement. You want to know what he is going to do to help you. These are questions you need to ask your oncologist: Can you cure me with your treatment? What are the chances of success (what ever that means!)? What are the side effects of the proposed treatment? How much would all these cost? You don’t have to ask the last question if you are loaded! See if he can answer these questions to your satisfaction. Take time to evaluate what he said – there is no rush into doing something that you may regret later. From the way I see it, it would take more than 15 minutes for a compassionate doctor to answer these important concerns that you have! I believe it is important that the facts are stated clearly and truthfully. Call a spade a spade. If there is no cure, admit that there is no cure. But present this reality with compassion! Patients go to their doctors wanting only to hear the good news – any else never get into their heads. It is therefore important that you bring along your friends or concerned family members who can help take note of what the oncologist is saying to you. Often as patients, you only hear what you want to hear! 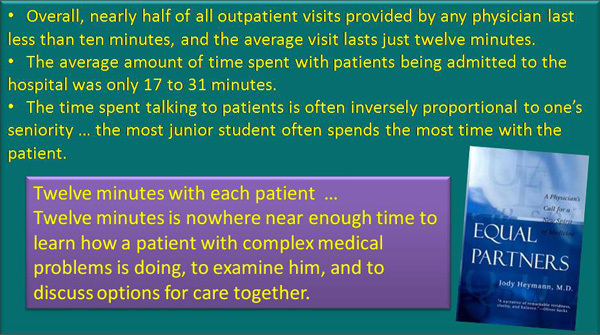 So, who tagged along with patients are not “busy bodies” – far from it doc! They go there out of love and concern for their loved one who is sick. But the oncologist is not interested in your concerns. His initial queries are – where you live, where you work or do you have a health insurance to take care of his hefty bills. Some patients told me some really sad stories. One lady was told by her oncologist, “Ask your husband to go and rob the bank, if you don’t have the money to pay me.” A son of a patient was told, “Go home and sell your house and come back and pay me.” Sadly, these patients have been undergoing chemo after chemo without success. In spite of that they are asked to do more chemos. 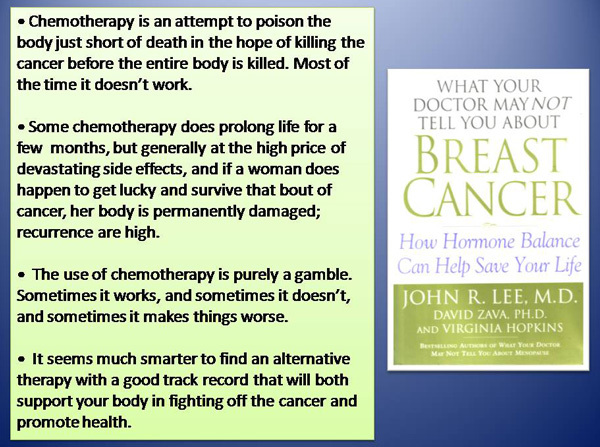 Without hesitation most oncologists that you consult with tell you to go for chemo. But does that cure? That is not their main concern! Does it hurt? Not much – that is what most will tell you. And they assure you that lots of pain killer will be able to take care of that problem. What is going to happen to you after the chemo? Well, do first and find out later! 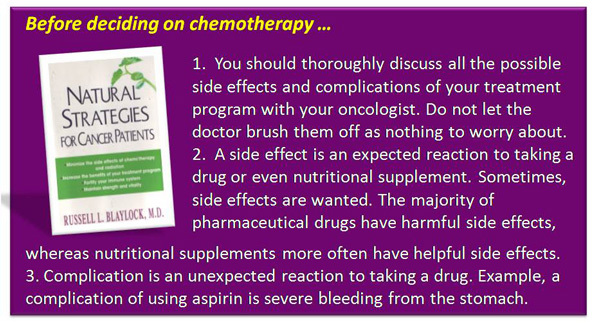 There is no need to downplay the side effects of chemotherapy. Undergoing chemo is not like going on a honeymoon trip. The devastating side effects are real and can even kill. Diet is the most “frustrating” topic when it comes to cancer. Your oncologist tells you to eat anything you like – food has nothing to do with your cancer! You believe that? At CA Care we tell you to take care of your diet! Click this link to see the many articles that we are written of this subject: http://ejtcm.com/category/dietnutrition/ Decide for yourself what you want to do with yourself! Pancreatic Cancer: Chemotherapy, Cryotherapy, Immunotherapy and Radioactive Seeding Could Not Cure Her. What if she did nothing? Han (S121) was a70-year old lady from Indonesia. Some time in June 2011, she went for a medical checkup in her hometown before a planed holiday trip to Korea. Unfortunate her CEA was high – at 25.0. The doctor did a CT scan and found that Han had a cancerous pancreas. Han went to Singapore for further management. A blood test done on 7 July 2011 showed elevated liver function enzymes. Her tumour markers – CEA, CA 125 and CA 19.9 were also high. A 9 x 6.2 x 7.2 cm mass with irregular margins at the upper abdomen. This represents a FDG avid tumour arising from the pancreas. Multiple foci mesentery / peritoneum ranging from 1 to 2.5 cm. Liver with multiple foci of FDG ranging from subcentimetre to 36 cm, the largest being at Segment 6. Lymphadenopathy with possible left supraclavicular spread. Han subsequently underwent a total of 10 cycles of chemotherapy, 6 of which were with Gemzar + Taxol + Avastin. Each treatment cost S$7,000. Han was told that chemotherapy would not cure her – only prolongation of her life by 6 months to a year. Without chemo she would only have 4 months. Since the treatment in Singapore could not cure her, Han went to China for more treatments in October 2011. She underwent the following treatments in China. 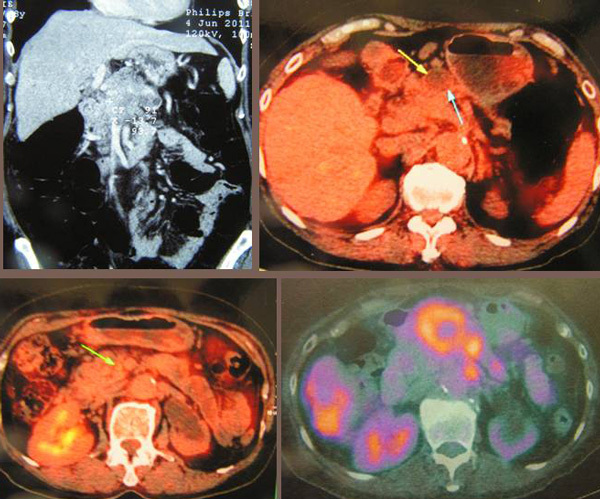 A CT guided cryotherapy for her liver metastases. Iodin-125 seed implantation – a total of 80 seeds were implanted. Chemotherapy with Gemzar and Cisplatin. The first visit to China was for 3 weeks. The subsequent visits were shorter. In total Han went to China five times. Her last visit was in February 2012. Her CA 19.9 on 11 February 2011 was written as > 1000 (note: earlier in Singapore >100 means 236,000. So > 1000 could be any number. Her CEA was at 387.6. In fact, the doctors in China did not think that Han need to come back to their hospital again for further treatment. The doctor said Han probably had only three more months to live. On 23 February 2012, we received this e-mail. My name is Alu from Jakarta, Indonesia. I was introduced to you by Mr.HM from Indonesia. 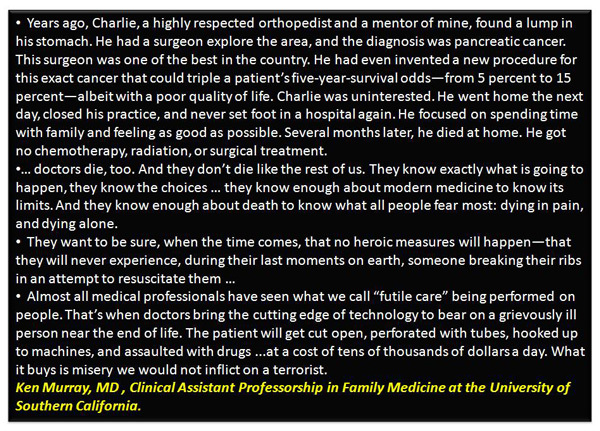 Dr. Chris, my mom has pancreatic cancer (diagnosed last year June 2011). She already got chemotherapy treatment in Singapore from June until October 2011. In November 2011, she went to a hospital in China to undergo Cryosurgery, Nano Chemo. She already received several times of nano chemo treatment in China. Last week, she went to do a PET/CT scan in China and found out that the cancer has metastasied to her colon and liver. 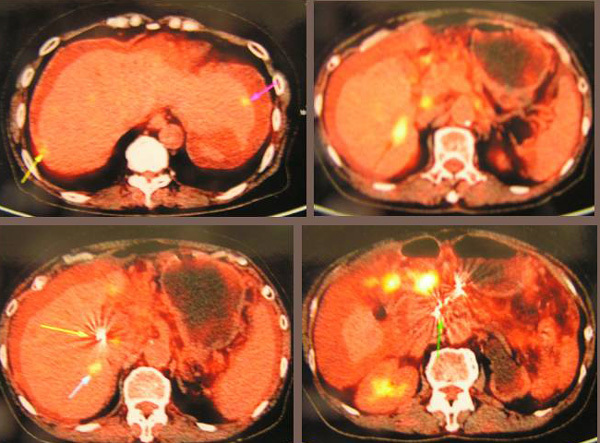 The doctor did cryoablation for her liver cancer but for the other tumor cancer, it can’t. So they planted Iodine-125 seeds. But today, the doctor said that probably my mom has only three months to live. So our family is looking for alternative treatment and we’re told about your treatment in Penang. Dr. Chris, could you please advise what to do next? Should we bring our mom to Penang to see you? She’s still in good condition. Can walk, can eat, etc. She is now 70 years old. Btw, my mom’s condition now is still OK. The last condition of my mom, her stomach was a bit bloating. So the doctors in China released the fluid from her stomach through a tube (from stomach) into a bag. The fluid color is a bit brown (old yellow). The doctor said it is probably due to liver problem (?). Thank you Dr. Chris. Han and her family came to seek our help on 2 March 2012. Han was prescribed herbs and the only message we could impart to Han was that we would try our best to help her. There was far too much damage for us to handle. Anyway, We prescribed herbs for her to try. On 29 April 2012, we received this e-mail. My mum has finally ended her sufferings in fighting pancreatic cancer. On Thursday morning 4.10 am, Apr 26, 2012 she passed away in a very peaceful way. All our family member were around her, praying with her, singing a hymn and read Bible together. She has been laid in bed for around ten days – almost no energy to do any activity. During those ten days, I was beside her and we talked much about the Bible. She’s ready to go to her Creator …. Thank you for all your kind support during my mum’s heavy days. We appreciate your kindness during those days. Regards. There is an important lesson we can learn from this case. For those with serious cancer, such as pancreas, the options are extremely limited. I can only say this. If you do something – go for whatever medical treatments you can find –chances is that you will die. If you opt to do nothing – or go for alternative medicine – you also die. I am sorry I cannot offer you comforting words. If I try to paint a more optimistic scenerio than this, I am cheating you and I am also cheating myself. Han was told by the oncologist in Singapore, before the treatment, that chemotherapy would not cure her – only prolongation of her life by 6 months to a year. Without chemo she would only have 4 months. The reality was Han survived 10 months even with the best of treatments. The family has spent probably no less than US$ 100,000 for all the treatments in Singapore and China. In addition, she had to endure the side effects of the treatments. When Han was here, I asked her and her family members – Would you rather die in 4 months peacefully or try medical treatments to prolong your life for 6 to 12 months? And with that suffer all the side effects besides spending all the money? The answer was they wanted to try medical treatments in spite of all the odds. Some of you reading this article would not like what I wrote. You want to win – or at least have a chance to try. I understand that. I cannot tell those who go to the casinos that it is futile trying to earn easy money that way! Sometimes I would like to pose this question: What happens if the patient opted to do nothing invasive? Meaning just take herbs, change lifestyle and diet? Can she/he live longer and without suffering? Nobody can answer that. It is entirely for the patient and her/his family to decide. Let me end by quoting what some experts have got to say. 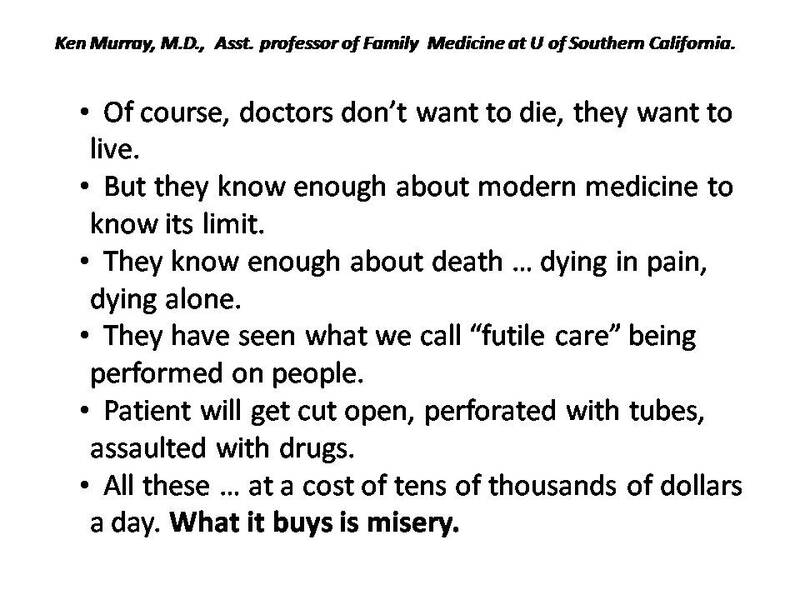 The three slides below are quoted from How Doctors Die by Dr. Ken Murray, M.D. Dr. Murray is a retired family medical physician who had a private practice of general medicine in Studio City, California for about 25 years, until his retirement in 2006. 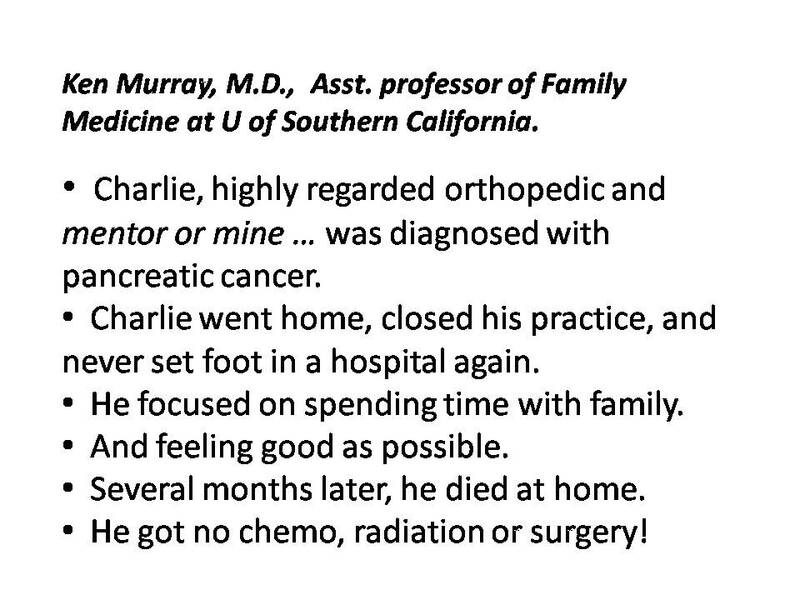 He also held a Clinical Assistant Professorship in Family Medicine at the University of Southern California. 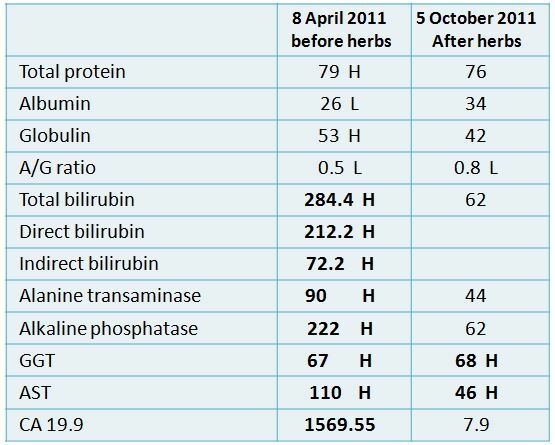 The results for the first six months after taking herbs had been most encouraging. In fact we would say Tony’s condition improved with time. Then a bomb shell fell on 2 November 2003. Tony, his wife and sister-in-law came and presented the results of his blood test (see column 4) and wanted to know why everything suddenly had become bad. Can anybody explain that? I often tell cancer patients: I am not god and I do not know everything. Worse still, I cannot fix everything when things go wrong! You have to pay the penalty for what wrong you have done! This is a man who kept everything close to his chest. He would not tell you anything unless you pry it out of him. Even when he came for consultation with me, his favourite remark was:My doctor said there was no more cancer. He had taken it all out and I am now clean. Sadly, Tony was lulled and was living in a fool’s paradise.